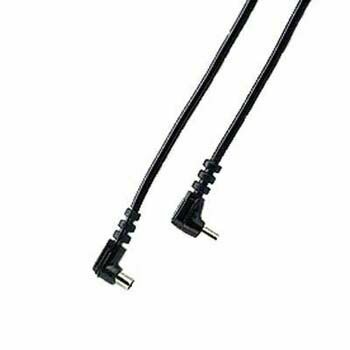 The length of the cable is ideal for studio use where the cable can be placed around the perimeter of the shot, thus keeping it out of the picture, whilst still keeping the link to the flash gun. Another use for such a long cable can be in wildlife photography where you need to trigger the flash from a distance, perhaps where the photographer is in a hide and the gun is obscured from sight, thus making sync units unusable. This cable provides a very useful and simple way of triggering a flash gun up to 5m away from the camera.